Ben Salinas shows off his best color changing moves with cards. 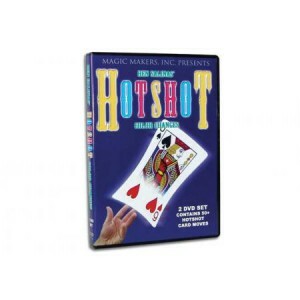 This DVD is the ultimate collection, packed with over 50 of only the very best color changing moves. From beginner moves to showoff hotshot moves, each effect is performed and followed by a step by step explanation. Practice these moves and you will become a HOTSHOT in no time!